I am a moment never forgotten, etched within the temples of men. I can be attached to a smell sound or taste, maybe even brought forth by a place. I am sometimes considered bad it is true, making depression a side effect for you. However do not fear, do not despair, there is still the good me you will love and share. What am I? 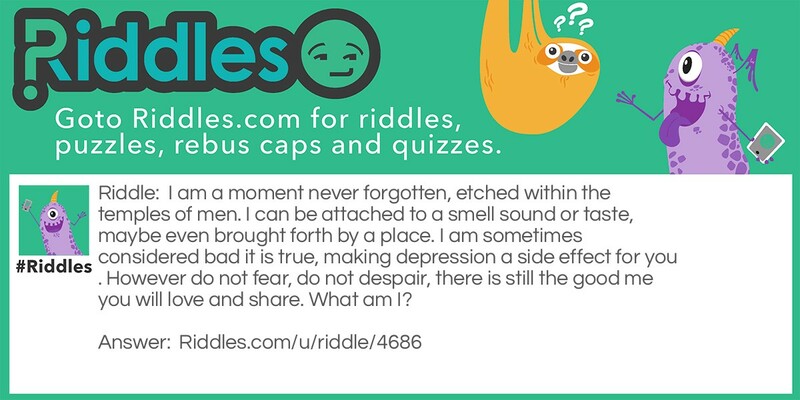 A moment Riddle Meme with riddle and answer page link.